"House in the riverbank II" which we designed 10years ago was appeared in the Mercedes me Magazine (edition in Japan). We are participating in an exhibition which is held until March 28 at "500 m Gallery" in the passage connecting Sapporo's subway OdoriStation - BusCenterStation and exhibiting the process of making SSM IV colorful tent village (a collaboration with German artists Nina Fischer & Maroan el Sani) and photographs at completion. The book which featured a roof shape was published. Some works which we designed were placed there. "The sheet metal building" which Silver screen House was placed in was published. 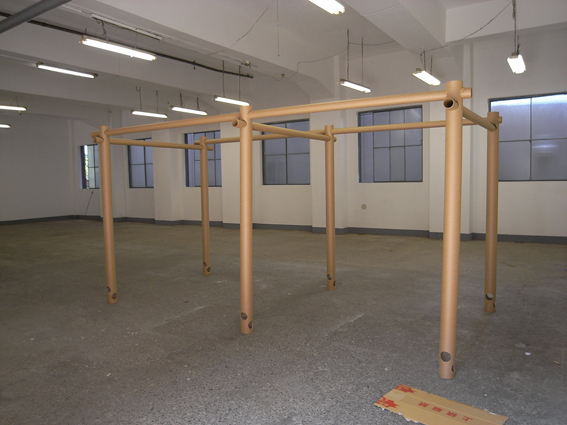 Architect Shigeru Ban which I respect designs a system of the simple partitioning to secure privacy using a paper tubes & fabric cloth and is installing it in the refuge where victims of the Kumamoto earthquake gather. The NPO: Voluntary Architects' Network 'VAN' that he presides over calls for your support in our relief endeavor. Donations made to the account written down in the site of Architect Shigeru Ban are very much appreciated. The Double cast House was placed on Korean book "JAPAN HOUSE R2"　-English/Korean. Our three House works appeared in the "KENCHIKU CHISHIKI ". The November issue of this magazine is a special feature about various roof shapes. 高橋三太郎展に行こう！／　Why don't you go for SANTARO exhibition ?! The exhibition of woodwork designer Santaro Takahashi held in Hokkaido Museum of Modern Art in Sapporo until December 6. Architect Shinichiro Akasaka participates in an artist talking event from 14:00 as a talk guest on Saturday, October 3 with designer Shin Sasaki. "Inner garden house” which Akasaka Shinichiro Atelier designed is placed in “Mercedes-Benz Magazine” (edition in Japan). Several times of tea parties will be held there during a session. In addition, "the ukiyoe artist, Kuniyoshi Utagawa exhibition is held in the adjacent art museum, too". Why don't you go there?! 雑誌・建築知識「目的別に選べるディテール３００」に掲載されています。　Our two works are placed on the book "Details 300"
"The ordinary house" and "Draft house" are placed in the book "Details 300 selectable according to a purpose" published by X-Knowledge Co., Ltd.
"DETAIL" is the German architectural magazine with the history. "Oresen House" which we designed was collected in special editing book "Single Family House/Best of DETAIL" which recently was released. 赤坂真一郎＋藤沢レオ　２人展　「スキマエスキス」 /Exhibition"SIKIMA gap esquisse"
Joint exhibition "SUKIMA gap esquisse" by artist Leo Fujisawa who is active based in Tomakomai and Architect Shin-ichiro Akasaka from Sapporo is held in Houmura Gallery at 1-1Honchou Higashi-ku Sapporo. The session from March 11 to 22nd. A Tuesday fixed closing day. We will have gallery talking and a small party from 18:00 of Saturday, March 14. 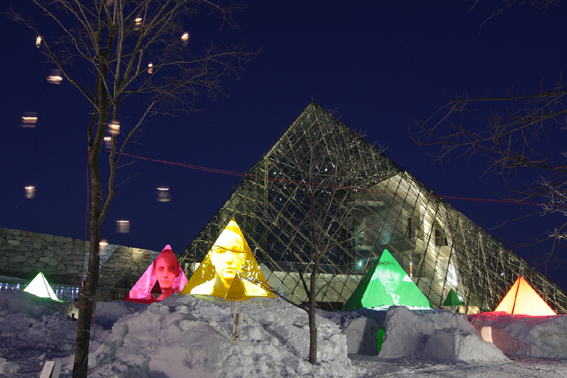 The 13th orchid turn Festival began with an idea of sculptor, Takenobu Igarashi from Takikawa-City, Hokkaido. The orchid turns that assumed a common paper sack materials are arranged around Takikawa Station. Approximately 14,000 orchid turns colored a town last year ! It is turned on this year from 17:00 to 20:00 on Saturday, February 28.
also I participate in "the window orchid turn exhibition" by creators with the relationship in Takikawa. I make the scenery of the town only with operation that I make a cut in a paper sack without a draft and bend. The display is started on February 21 at the mall of the station square until 28th. In the Sapporo 500m gallery tying Odori Station and the Bus Center subway station, "3rd. Sapporo 500m Museum Prize exhibition" is held. There are works of Someda Risa from Kyoto and Yoko Tamura from Sapporo there. This time Shinichiro Akasaka was called by Ms.Tamura as "the model of the foot" !! The spoor works and the big photograph are displayed until April 24. 1月22日(木)から1月25日（日)まで、札幌駅前通り地下歩行空間「チカホ」の北3広場にて日本建築家協会（JIA)北海道支部の「北海道建築家展」が行われています。会場ではアカサカアトリエの模型やパネルを展示している他、24日（土）、25日（日）にはJIAの建築家による複数のセミナーも開催されますので、ぜひ会場に足を運んでみて下さい。※25日のセミナー「建築とつながる庭」は都合によりモデレーターが赤坂から大田司さん（ダイダデザインスタジオ）に変更となりました。　"A Hokkaido architect exhibition" of the JIA Hokkaido Branch is carried out in the underground of the Sapporo Station main street from January 22 to 25th.